WHY IS FACEBOOK STILL IN THE CROSSHAIRS AND NOT ROBERT MERCER? Jane Mayer in Dark Money: The Hidden History of the Billionaires Behind the Rise of the Radical Right (2016) insists that Robert Mercer is a major investor in the Charles and David Network: the Kochtopus. Robert Mercer is an eccentric computer scientist who made a fortune using sophisticated mathematical algorithms to trade stocks who also seemed a possible government target. Democrats in Congress were considering imposing a tax on stock trading, which the firm he co-chair, Renaissance Technologies, did in massive quantities at computer-driven high frequency. Although those familiar with Robert Mercer's thinking that his political activism was separate from his pecuniary interests, he had additional business reasons to be anti-government. The IRS was investigating whether his firm improperly avoided paying billions of dollars in taxes, a charge the firm denied. Employment laws, too, would prove an embarrassing headache to him; three domestic servants soon sued him for refusing to pay overtime and maintained that he had docked their wages unfairly for infractions such as failing to replace shampoo bottle from his bathrooms when they were less than one-third full. The tabloid news stories about the case invariably mentioned that Mercer had previously brought a suit of his own, suing a toy-train manufacturer for overbilling him by $2 million for an elaborate electric train set he had installed in his Long Island, New York, mansion With a pay package of $125 million in 2011, Mercer was ranked by Forbes as the sixteenth-highest-paid hedge fund manager that year. Five years ago, a local land-use issue here in New York City became the subject of national debate. Two Muslim men — a real-estate developer and an imam — proposed to build a Ground Zero Victory Terror Mosque two blocks away from the smoldering ruins of the World Trade Center. 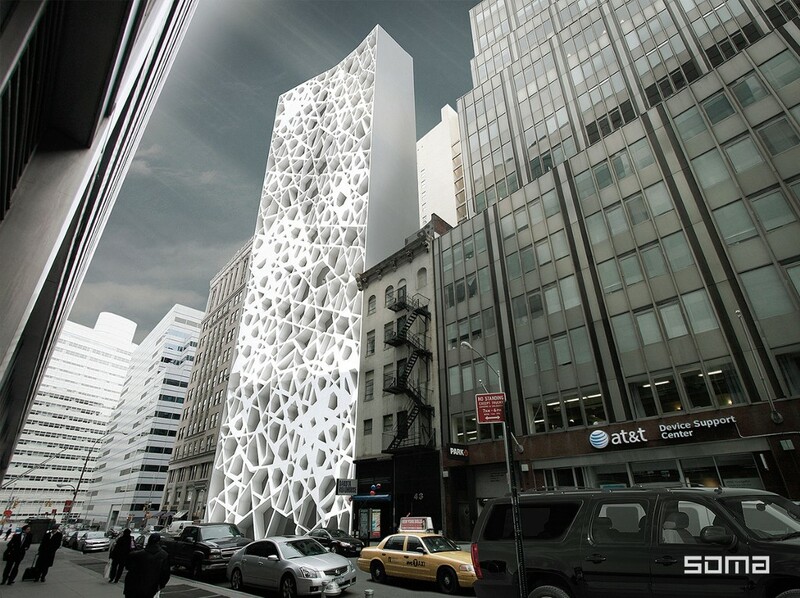 Haha, no: They proposed to build a fifteen-story Islamic cultural center. Still, while many New Yorkers were ambivalent about this (although it seems worth noting that the local community board voted overwhelmingly in favor of the project), people outside of New York were stridently against it (because dog whistles work). Anyway, demolition at the site began earlier this year, and, if all goes according to plan, a seventy-story ultra-luxury condominium tower will have risen there by 2017. Wait a minute, what happened to the cultural center, you ask? The five-story building at 45 Park Place, in Lower Manhattan, was built in the late eighteen fifties. In 1968, it was bought by pioneering discount retailer Sy Syms and his partner Isidore (“Irving”) Pomerantz. In 1990, the Pomerantz family leased the building to the Burlington Coat Factory, and eleven years later, on the morning of September 11, 2001, a piece of landing-gear assembly from either American Airlines Flight 11 or United Airlines Flight 175 plummeted through the roof, crashing through two floors but injuring no one. (According to the New York Times, the store wasn’t yet open for the day, so the staff of about eighty employees were having breakfast in the basement.) For the next eight years, the Burlington Coat Factory was abandoned. Kukiko Mitani — whose deceased husband, Stephen Pomerantz, had at one point reportedly listed the building for eighteen million dollars — sold it to a developer, Soho Properties, for nearly five million dollars in July 2009, because it was in the middle of the recession and she needed the money. The following summer, in 2010, the local community board voted twenty-nine-to-one, with ten abstentions, to approve plans for a fifteen-story, hundred-million-dollar community center modeled on the 92nd Street Y. Abdul Rauf referred to it as the Cordoba House; El-Gamal referred to it as Park51; and around the country, people referred to it, variously, as the “Ground Zero mosque,” the “Ground Zero terror mosque,” and the “Victory Mosque.” “Nazis don’t have the right to put up a sign next to the Holocaust Museum in Washington,” former speaker of the house Newt Gingrich said. “We would never accept the Japanese putting up a site next to Pearl Harbor. 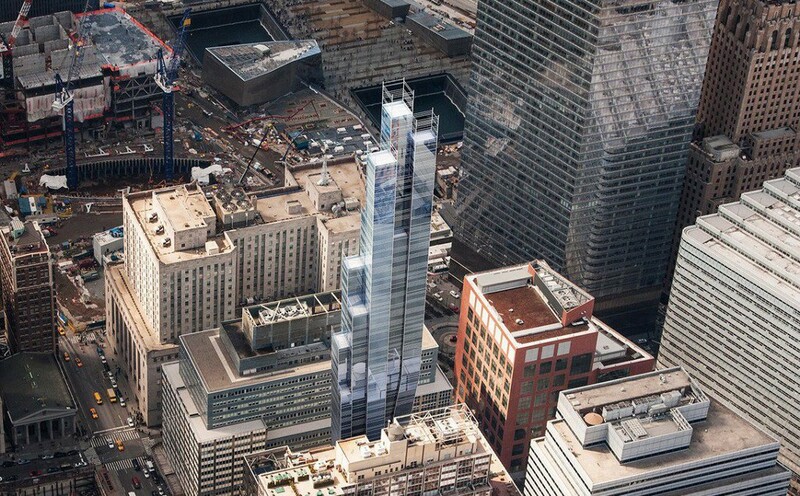 There’s no reason for us to accept a mosque next to the World Trade Center.” (Technically, Curbed pointed out at the time, it would be a musalla, not a mosque, “but ‘Ground Zero Musalla’ is way less catchy!”) Republican candidates for governor called for an investigation into the project’s financing: “This is about transparency. This about the safety of the people of New York,” former-congressman and Republican gubernatorial candidate Rick Lazio said. “Religion has nothing to do with this.” (Those requests were denied by then-attorney general and Democratic gubernatorial candidate Andrew Cuomo.) The families of victims were trotted out. “People are being accused of being anti-Muslim and racist, but this is simply a matter of sensitivity,” a dead firefighter’s mother told the Times. “It’s hard enough to go down to that pit of hell and death.” Now, of course, that pit of hell and death has been beautifully landscaped into the place where Vogue is produced and from which Fox News will soon be broadcast. As it turned out, the money behind the site was worth investigating, though perhaps not for the reasons Republican politicians and right-wing activists might have hoped or expected: In its early years, Abdul Rauf’s Cordoba Initiative was reportedly funded in large part by R. Leslie Deak, a Muslim convert with CIA ties. (“The Ground Zero Mosque Was an Inside Job,” Gawker quipped.) On the other side of the argument, the Islamophobes were heavily bankrolled by hedge-funder Robert Mercer, who personally paid for a million-dollar advertising campaign stirring up anti-mosque sentiment. According to the New York Times, Mercer, who was a researcher at IBM before he joined the Renaissance Technologies hedge fund, has donated more than fifteen million dollars to conservative political causes since 2012. In 2013, a group of former employees at his house sued him for failing to pay overtime; he is currently financing Ted Cruz’s presidential campaign. Late that summer, though, it had came to light that Soho Properties did not actually own the entire property on which El-Gamal and Abdul Rauf had proposed to renovate and build the community center, which was to stretch from 45 to 51 Park Place. (Hence the name.) While Soho Properties controlled the entire site, technically what it had purchased from the Pomerantz family in 2009 was only 45–47 Park Place; 49–51 Park Place, which at one point had been used as a Consolidated Edison substation, was still owned by the energy company. When Soho Properties bought 45–47 Park Place from the Pomerantz family in 2009, it also paid seven hundred thousand dollars to take over the ninety-nine year, thirty-three-thousand-dollar-per-year lease at the adjacent building. (Common walls between the two buildings had been demolished years before, rendering them, functionally, one big building.) In February of 2010, the New York Post reported, Soho Properties had told Con Ed that it wanted to exercise the purchase option on the lease, which would not expire until 2071, at which point the utility initiated an appraisal to determine the property’s value. “We are following our legal obligations under the lease. We will not allow other considerations to enter into this transaction,” Con Ed told the Post in August. 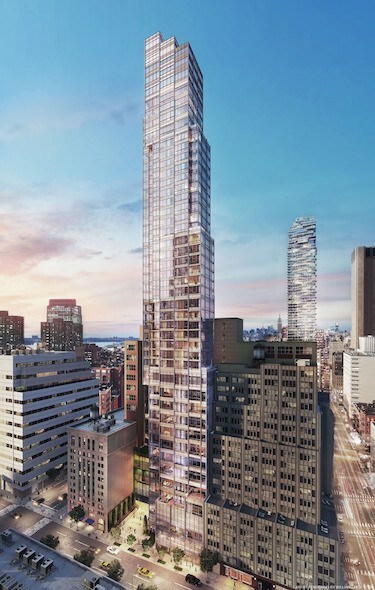 Until Soho Properties owned the full lot outright, it could not move to raze the old buildings and construct the envisioned fifteen-story Park51. However, the Con Ed sale did not go through until August 2014, when Soho Properties purchased 49–51 Park Place for just over ten million dollars. The delay was caused, in part, because El-Gamal challenged Con Ed’s appraisal in court, and even appealed when a State Supreme Court judge in Manhattan approved the valuation. Meanwhile, Con Ed was threatening to evict Soho Properties, claiming that the developer owed nearly two million dollars in back rent, all of which was settled with the 2014 sale of the building. “We are pleased to have concluded a complex acquisition from Con Edison allowing us to complete the assemblage for our upcoming developments at Park Place. This further exemplifies our strength as a buyer of real estate from institutional sellers,” El-Gamal said in a statement to the Times. In that time, El-Gamal’s relationship with Abdul Rauf deteriorated. They split in January 2011, just months after having seemingly weathered the summer’s storm. “Imam Feisal has no authority or control over this project, over its board of directors or over Soho Properties, which controls the real estate,” El-Gamal said in a statement, after Abdul Rauf told the Buffalo News that he would be willing to find a new location for the cultural center. (“I would move because my whole life is about improving relationships with people,” the imam said.) As of January 11th, the Times reported, Abdul Rauf would remain on Park51’s board of directors, but he was not permitted to raise money or speak on behalf of the development. Three weeks later, Sheik Abdallah Adhami, who El-Gamal had appointed to replace Abdul Rauf, also stepped down, after comments that he had made in one of his lectures — an “enormously overwhelming percentage of people struggle with homosexual feeling because of some form of violent emotional or sexual abuse at some point in their life” — came to light. A former computer programmer who had a reputation as a brilliant mathematician and an eccentric loner, Mercer was a relative new-comer to the Koch summits. But he was immediately impressed by the organization. He had long held the government in low regard and shared the Kochs' antipathy toward government regulations. In addition to fanning flames around the “mosque” issue, in 2010 Mercer reportedly gave over $300,000 to a super PAC trying to defeat a Democratic congressman from Oregon, Pete DeFazio, who had proposed taxing stock trades. Renaissance, a so-called quant fund, traded stocks in accordance with computer algorithms as enormously high frequencies and volumes, so the proposed tax would have bitten into the firm's legendary profits. Someone familiar with Mercer's thinking maintained that the proposed tax on stock trades was not behind his involvement in the race; rather, Mercer shared deep skepticism about global warming with the Republican candidate, Arthur Robinson. Instead of openly debating these issues, though, Mercer, who declined to speak about his motivations, paid for ads that manipulated voters' fears about terrorism and Medicare. Mayer posits that by late spring 2010, the House Republicans had Obama in a bind over the deficit. No sooner had the president reached a temporary budget agreement with the Republicans—one that included large Democratic concessions—than the self-styled “Young Guns,” backed by the Tea Party faction in the House [financed by the Kochtopus], forced a fight over raising the debt ceiling, a pro forma measure long used to authorize payments of the country's financial obligations. By 2011, the extremist upstarts had formed a powerful clique within the party's leadership and appeared itching to challenge Boehner's authority. Many owed more to the Kochs and other radical rich backers than they did to the Party. The White House was under the impressionism that stolid business forces within the Republican Party would see the threat to the economy and force the radical back from the edge. But while more traditional business interests, as represented by the U.S. Chamber of Commerce, took this stance, the right flank of the donor base was urging the Young Guns on to a showdown. In The Wall Street Journal, Stanley Druckenmiller, a billionaire hedge fund manager, described government default as less “catastrophic” than “if we don't solve the real problem,” by which he meant government spending. Pushing the Young Guns forward toward the financial cliff was Americans for Prosperity, The Kochs' political arm. Some forty other Tea Party and anti-tax groups also clamored for all-out war. Among the most vociferous was the Club for Growth, a small, single-minded, Wall Street-founded group powerful for one reason: it had the cash to mount primary challenges against Republicans who didn't hew to its uncompromising line. The club had developed the use of fratricide as a tactic to keep officeholders in line after becoming frustrated that many candidates it backed became more moderate in office. It discovered that all it had to do was threaten a primary challenge, and “they start wetting their pants,” one founder joked. It top funders included many in the Koch network, including the billionaire hedge manager Robert Mercer. Joshua Green makes the direct connection between Robert Mercer and Cambridge Analytical in Devil's Bargain: Steve Bannon, Donald Trump, and the Storming of the Presidency (2017) that Senator Chuck Grassley and Congress chose to avoid, and the American body politics seems to have no knowledge of. Yet Green posits that Trump's team had access to and used large-scale data and set of surveys by Cambridge Analytical, a London data science outfit contracted by the campaign to build a sophisticated model of its own. The purpose of acquiring a major stake in a data company was to equip the Mercer network with the kind of state-of-the-art technology that had been glaringly absent from Mitt Romney's campaign. It allowed the Mercers [Robert and his daughter Rebekah] to build out an infrastructure for sophisticated messaging and strategy that would be independent of the institutional Republican Party (an impulse shared by their fellow billionaires, David and Charles Koch, who also spent tens of millions of dollars building an alternative party structure, so disillusioned were they by the ineptitude of the GOP). Rebekah Mercer, who gained a fast reputation for aggressively involving herself in the campaigns of politicians she backed, made clear that a condition of her financial support, she expected that campaigns would hire Cambridge Analytical to do their data work. Whenever necessary, Bannon played the role of heavy. The Trump administration need America and the Europe to think of Facebook in Zero-Sum terms because Facebook is the most powerful tool for Crowd Sourcing. There would not have been a Women's March on Washington; no justice for Black Lives Matter; no Me Too; no Times Up organization on a national level without mass contact that Facebook makes possible at no cost. Adults should know that there is no free lunch in America or elsewhere. And that if you are given something for nothing, this is too good to be true. Facebook is an advertising company or the modern equivalent of a digital newspaper selling ads. It is a propaganda tool, both good and bad. Facebook has announced some of its plans to combat the ongoing controversy surrounding how it uses user data. The company has struggled in recent weeks following the news that a company called Cambridge Analytica was able to use the data of over 50 million Facebook accounts to try to influence the 2016 election. The company has said it will soon roll out a streamlined privacy and security settings page that will make it easier for users to change settings on their accounts. They also plan to roll out a tool which will make advertisers confirm that they obtained email addresses with the consent of users before they are able to match that data up with Facebook user data to create targeted ads. CEO Mark Zuckerberg also spoke to Vox in a podcast released Monday about the company’s troubles, and defended the platform’s business model. Despite the defensive maneuvers, though, many users are nervous about how much information the company has on them, and the #DeleteFacebook movement has gained some steam. Whether you want to keep your Facebook account or not, here's some helpful advice. 1. Users need to think differently about their role in social networks. "I think there’s a paradigm shift that needs to happen for users. I say this over and over, and people say this in the security world all the time — if the service is free, you are the product. It’s something to remember when you behave as you behave online whatever service you’re using." 2. You can delete Facebook and keep Facebook Messenger as a separate app. The app split off a while back, and doing this allows you to keep using Facebook for one of its primary uses, which is a kind of Rolodex, or a place where you can get in touch with people you know if you don’t have their phone numbers or email addresses. 3. You can keep Facebook and stay protected. Just do a little spring cleaning. Even before Facebook rolls out the new privacy and security page, it is still pretty easy to adjust your settings. Go to you Facebook page, head to the top right corner and click on the arrow. Go into "Settings," then look at the left of the screen and click on "Privacy." Here you adjust everything from who gets to see your email address and phone number to whether search engines can pull up your Facebook profile in search results. 4. You can also adjust what kinds of advertisers are targeting you. In the "Settings" page, you can also click on the tab called "Ads." Here you’ll see what kind of advertisers you’ve interacted with, what kinds of ads can target you and even what your interests are that advertisers might be zeroing in on — whether that’s recent travel, if you live with a roommate, your recent interest in buying a new coffee table or anything else. The good news is, once you know this profile exists, it is easy to adjust it. Scroll over one of "Your Interests" and click the “X” box that appears. Your list of removed interests can be found by clicking "More" on the right-hand side of the page. 5. If you do delete Facebook, there are a few other options. If you use Facebook for messaging, there are other choices. WhatsApp is popular — but as a heads-up, it is also owned by Facebook. There’s also messaging apps like Telegram and Signal, which are both centered around more privacy and security through encryption. Social media sites like Snapchat and Instagram (also Facebook-owned) allow you to share images and videos, if that’s the main reason you use Facebook. Mastodon and Vero are both being billed as sites that could potentially "replace" Facebook in your life. One piece of advice before signing up for any social networking site: Decide whether it adds value to your life — and whether your friends also use it. Otherwise, it might just be one more site that has access to your data. Sometimes, the best replacement might just be email or a text. But we, if we are to “take back” America from the Fascism via union of Church and State has spawn whereby the America, once “a faithful town has become a prostitute! She was once full of justice, righteousness itself used to lodge in her, but now murderers. Or wealth as a nation has become scummy dross. Our national government as stubborn princes and partners with thieves. Every one of them is a lover of a bribe and a chaser after Emoluments. There is no justice even for the legal case of widows and children since they get no admittance to courts. The Bible is an apt book of human behavior because human-behavior has never change from day-one to now. Thereby we see the evil that unchecked power can bring upon a liberal society. We need to be able to slow-the-roll of politicians who has re-enslave us in the Fascism of the 1920s & 1930s when we had an abundance of international and local free presses to fight back. It is important that you, citizen don't listen to the propaganda against Facebook because of it crowd scoring ability. Notice everything Grassley, a Koch man, brought up at the hearing did not mention Mercer. Listen to the lies that Bannon is telling when both he and Mercer are on Cambridge Analytical boards. Mercer owns Cambridge, yet not a mumbling word is said about him. Wake up America, Facebook is not the problem. The Republican dominated Senate is the problem.